This popular 2,392 sq. 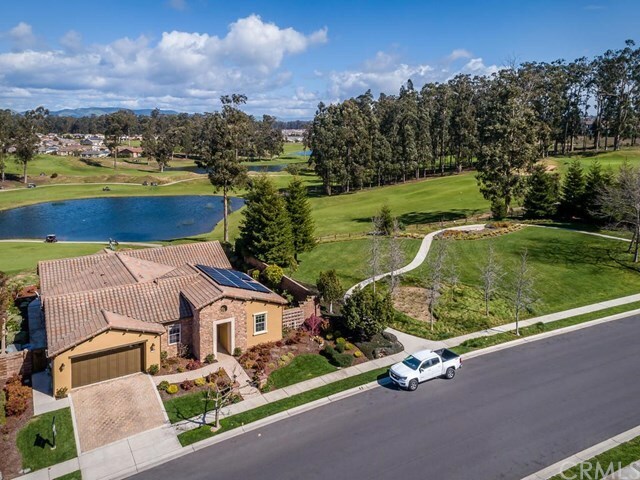 ft. Avila home is beautifully situated on one of the most-desired lots in all of Trilogy. When you venture inside this 3 bedroom, 2 Â½ bath home with gourmet kitchen, great room, den and formal dining room, youâll immediately notice all the upgraded finishes, from the wood floors to the granite countertops, but itâs the view that will knock your socks off. Youâd be hard-pressed to find a more spectacular golf course view to enjoy than this one, as it spans over multiple fairways with crystal clear lakes. This well-appointed home features a designer kitchen outfitted with top-of-the-line stainless appliances, granite countertops, oversized island, decorative stovetop hood and raised-panel walnut cabinets; itâs perfect for hosting friends and family. Directly adjacent is the great room with a beautiful tiled fireplace and built-in media center. Next is the expansive Master Suite with two walk-in closets, upgraded storage and more spectacular views. The master bath features a beautifully-tiled garden tub and glassed-in shower enclosure. Other features include a 2-car garage with tandem workshop/craft room, finished with plenty of counter space and storage cabinets. Add in a private courtyard, a guest wing with full bath, a stonework exterior with dramatic portico entrance, the extra privacy of a park next door, and you have the home of your dreams. And best of all, itâs located in Trilogy with its spectacular resort-style amenities. Directions: 101 to Willow. West on Willow. Left Albert. Right on Northwood and the house is up the street on the left hand side.